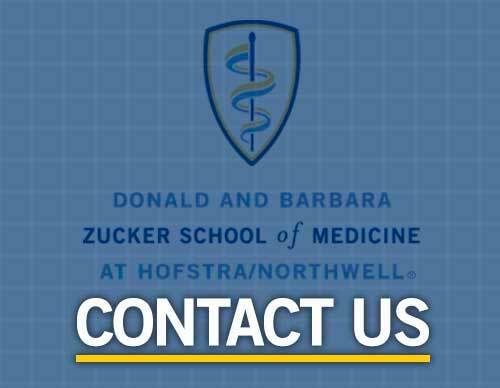 The MD/MPH joint degree program is a special program designed for Donald and Barbara Zucker School of Medicine at Hofstra/Northwell students who are interested in acquiring public health knowledge and skills. The educational mission of the MD/MPH joint degree program is to graduate physicians with an enhanced understanding of the social, behavioral, economic and political determinants of health, and the skills necessary to apply this knowledge to improve the health of populations through leadership in patient care, research, education, health care policy analysis and community empowerment. Students are eligible to apply for admission to the MD/MPH degree during their 3rd year. The goal of the MD/MPH Program is to facilitate the attainment of both degrees within five years. Accepted MD/MPH students will take an additional year between their third and final (fifth) year of training to complete the majority of their MPH coursework during one year's time. Most MD/MPH students will use a portion of their elective time during their 4th year of medical school to complete the field internship and culminating research experience. Students accepted into the MD/MPH program will be granted credit toward the MPH degree based on the Patient, Physician and Society components, including the Initial Clinical Experience (ICE) of their First 100 Weeks curriculum, and the Advanced Clinical Experience (ACE Continuity Clinic) of the Second 100 Weeks. MD/MPH students also are required to complete 36 credit hours of public health core courses, including a 3-credit supervised field internship and a 3-credit supervised culminating research experience. *The guidelines reported here regarding admissions, curriculum and financial information for the MD/MPH applies only to Zucker School of Medicine students.